Save an extra CDN$ 8.27 (41%). Buy the Kindle Edition instead. Fueled by the music of revolution, anger, fear, and despair, we dyed our hair or shaved our heads ... Eating acid like it was candy and chasing speed with cheap vodka, smoking truckloads of weed, all in a vain attempt to get numb and stay numb. This is the story of a young man and a generation of angry youths who rebelled against their parents and the unfulfilled promise of the sixties. As with many self-destructive kids, Noah Levine's search for meaning led him first to punk rock, drugs, drinking, and dissatisfaction. But the search didn't end there. Having clearly seen the uselessness of drugs and violence, Noah looked for positive ways to channel his rebellion against what he saw as the lies of society. Fueled by his anger at so much injustice and suffering, Levine now uses that energy and the practice of Buddhism to awaken his natural wisdom and compassion. While Levine comes to embrace the same spiritual tradition as his father, bestselling author Stephen Levine, he finds his most authentic expression in connecting the seemingly opposed worlds of punk and Buddhism. As Noah Levine delved deeper into Buddhism, he chose not to reject the punk scene, instead integrating the two worlds as a catalyst for transformation. Ultimately, this is an inspiring story about maturing, and how a hostile and lost generation is finally finding its footing. This provocative report takes us deep inside the punk scene and moves from anger, rebellion, and self-destruction, to health, service to others, and genuine spiritual growth. 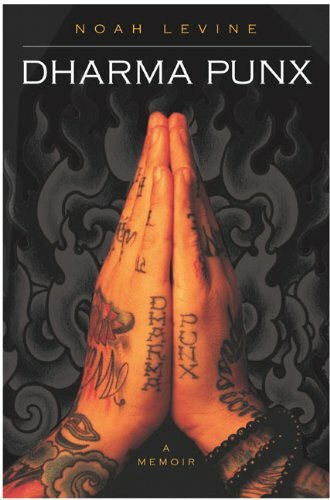 Start reading Dharma Punx on your Kindle in under a minute. Noah Levine, M.A., has been using Buddhist practices to recover from addiction since 1988. He is the founding teacher of Against the Stream Buddhist Meditation Society. Highly recommended! And I do recommend this to friends in the scene who secretly ask me about my recovery. Reading about recovery from other "normal" people is fine (I've read countless recovery books) but hearing it from someone who understands what it's like in our subculture helps a lot. Helps with the belief that sobriety IS possible even when most of your friends are deep into the old life. This is one of the greatest memoirs I've read. 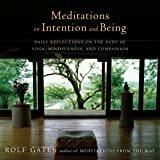 I've had a long term interest in Buddhism, but I always found it very hard to find literature that I could relate to on the subject. Don't get me wrong: there are some really great books out there, but relating to some of their author's experience is quite hard unless you were recognized as the reincarnation of a great lama while you were still wearing nappies... This book, along with the books by Brad Warner (who I also highly recommend), gives people in their twenties or thirties an experience that they can relate to personally, along with some great wisdom; all that in a language that they can understand and feel at ease with. 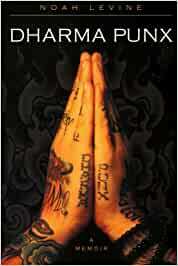 Whether your interest is punk rock culture, Buddhism or counter culture generally, I can't recommend this book enough. It's great that a privileged white kid from so-cal can get into drugs then turn his life around using his dad's connections, wow glad he had to work so hard, right.... But what really "upsets" me about Noah here is that he ignores the myriad of positive aspects of punk rock the 100's of bands and 1000s of kids who did NOT see punk rock as a dead end street, or as a reason for violence. Haven been in punk bands for most of my adolescent through adult life I find this very offensive, I too am a Buddhist, and the two paths are neither mutually exclusive or really all that different. Some friends of mine on tour in another positive punk band stayed at my flat on tour a couple weeks ago and we had a good laugh at this. But I guess you gotta do something to sell books. Definitely a book of choice whether you follow a spiritual path or not. Old punkers and, I think, just about anyone can get a great feeling by knowing that "you are not alone". Struggling during youth, struggling in life, being true to one's self and one's nature is tough for all of us. Just being alive and knowing who we are is trying at times. I'm not sure if this review will help anyone choose to read this book, but I wanted to get my opinion out there. I saw a great amount of negative responses and they all seemed so trumped up--like a personal attack??? This is plain and simply a good, solid read for anyone. Strike off your chains, and make your souls your own!! As someone who is just beginning to follow a spiritual path of awareness, I found Noah's book to be a tremendous benefit to my practice. Perhaps it is true that it will resonate more with people around our age (30s), however I think the basic message applies for all who might read his story. Since it is his memoir and not an instructional guide, he uses his personal experience to illustrate different methods of practice. He shows the reader that in life, one can follow a path of spirituality in their own way and be successful. This is very inspiring and give me a great deal of freedom and confidence in accepting my path and following the practice. Thank you, Noah, for your incredible work, uplifting story and unique insights.